Users may delete their own posts provided there have not been any replies. If there's a reply, the option disappears. Again, you will not see these options if there's been a reply to your post. 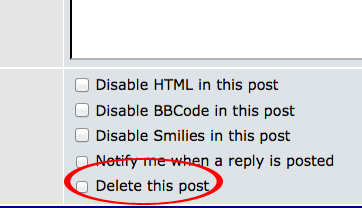 If that's the case and you need a post deleted, please contact the forum admin.